Spyral Pollinator Grinder is a pollinator aluminum grinder, one of the pollinators grinders of best quality on the market. Includes blades for crushing Marijuana and pollinating mesh to separate the resin. The 50mm Spyral is an aluminum pollinator grinder, one of the best grinders available on the market. 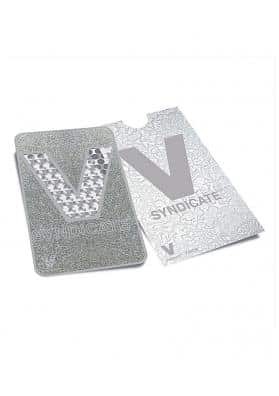 It consists of 4 pieces, blades, pollinating mesh compartment to separate the trichomes, protective rubber and is also magnetic. It has all! It you treat this pollinator grinder well it can last many years if not a lifetime, A small investment worth. The 50mm Spyral is made by high quality aluminum, which besides being ultralight also works perfectly during all day. 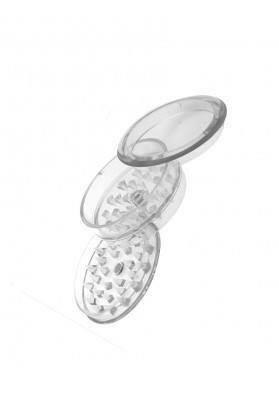 If you are a regular smoker and are looking for high-quality in your Marijuana paraphernalia, this is your grinder. It also comes with a protective rubber. In our store you will find it available with different tones (usually blue, red and black), to suit all tastes and needs.